Barangay San Jose is largely an upland community in General Santos with 1002m above the sea level location. A mix of Blaan and T’boli indigenous people lives in the area. PASALI reached out to 3 villages: Banwalan, Aspang & Bagong Silang. The remote condition, lack of basic needs and sustainable source of income are factors that contributed to high dropout & out-of school youth rate. Instead of going to school, kids would rather help their parents earn money for food on the table. 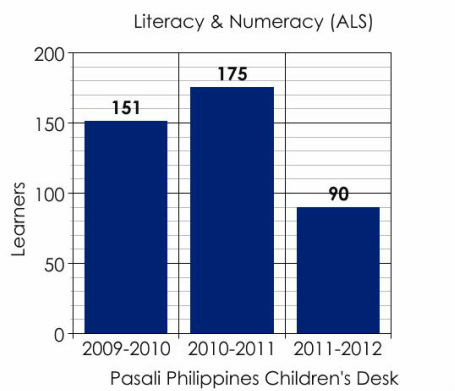 Responding to the need for education, PASALI started the Numeracy and Literacy program in 2008 in Banwalan with the Department of Education. Changes in Upland San Jose from PASALI Philippines on Vimeo.